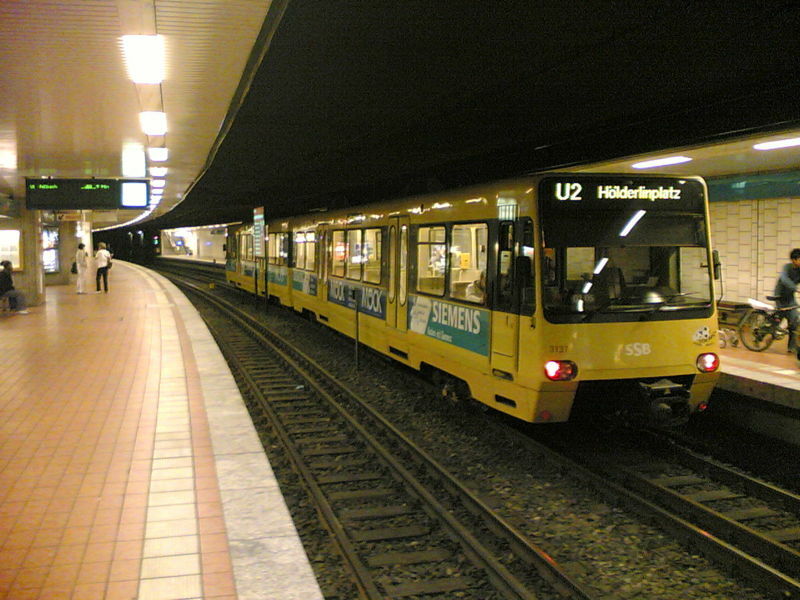 The Stuttgart system after the inauguration of the Stadtbahn lne between Hallschlag and Aubrücke, the reopening of the underground line between Charlottenplatz and Staatsgallerie and the temporary closure of the Hauptbahnhof - Staatsgallerie link due to construction work in 2017, and the introduction of rush-hour line U16 on 9 Dec. 2018. 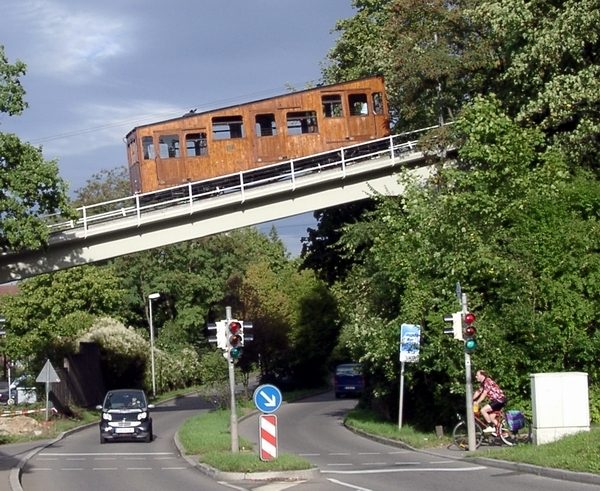 Tramway / Stadtbahn: ca. 124.5 km. 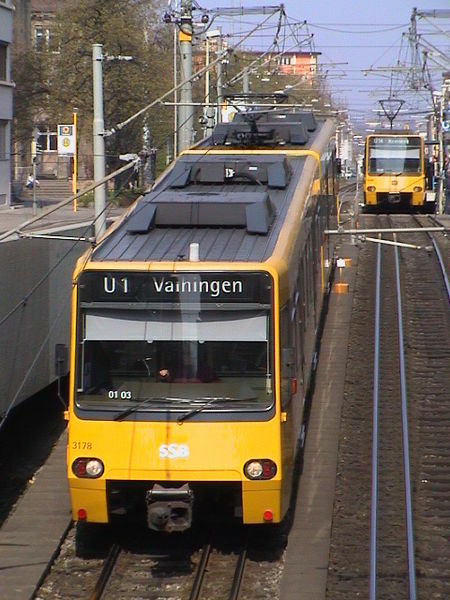 Rack railway (Line 10): 2.8 km. 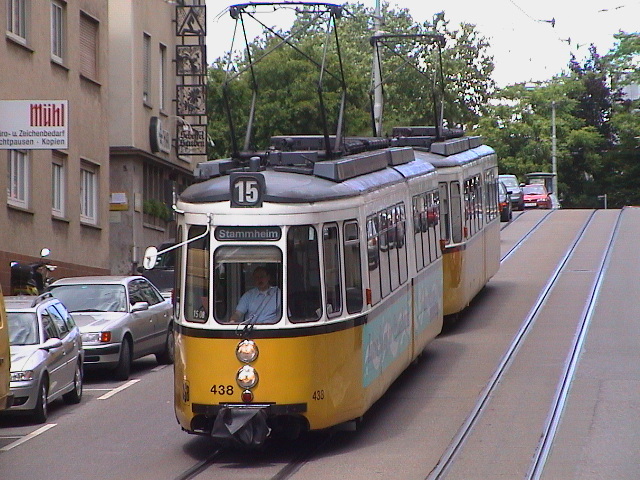 Trams (until 8 Dec. 2007): 1000 mm. 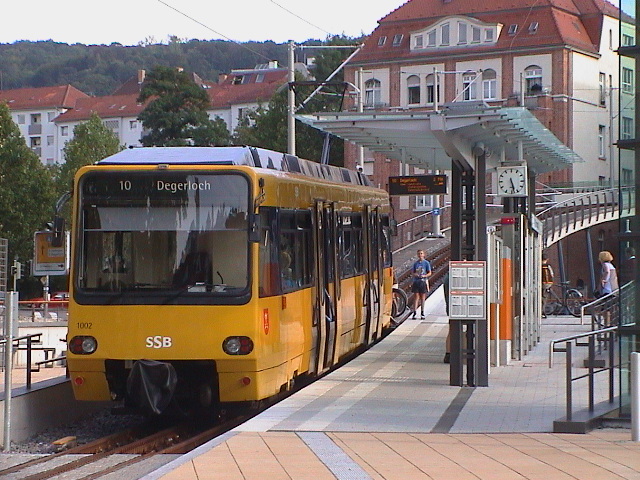 Stadtbahn (Light rail): 1435 mm. 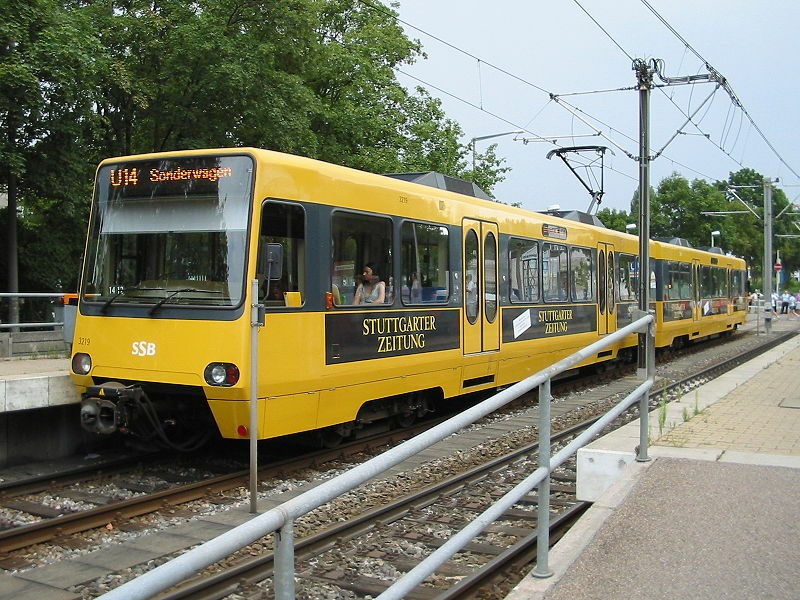 The Straßenbahnwelt Stuttgart is a tram museum that also operates heritage tram services over city tracks. 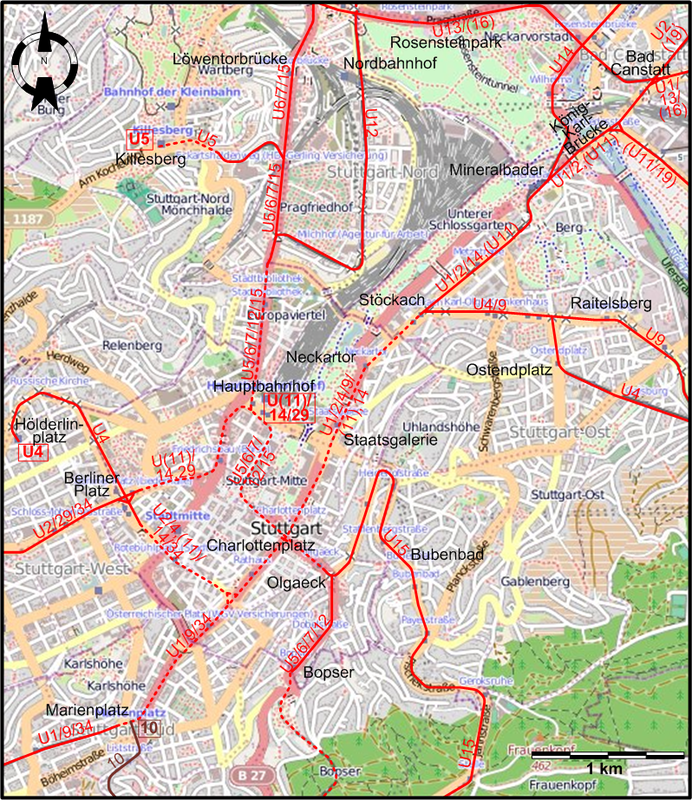 Pulling, N. "Systems Factfile No.26: Stuttgart, Germany". Tramways & Urban Transit, Nov. 2009 (72: 863), p.427-429. Russell, M. "Farewell in Stuttgart". Tramways & Urban Transit, May 2008 (71: 845), p.201-203. Taplin, M.R. "Third rail through the city". Modern Tramway & Light Rail Transit, Sept. 1986 (49: 585), p.309-313.